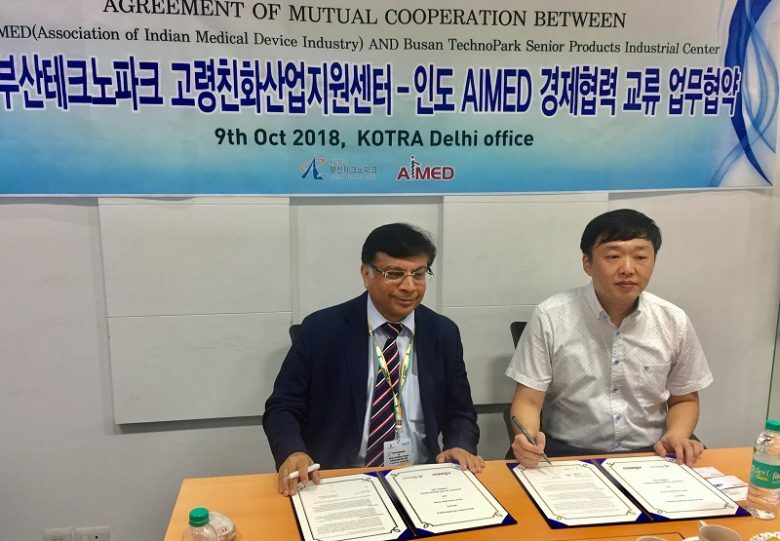 New Delhi: In a bid to further provide an impetus and boost Indian & Korean medical device industry, The Association of Indian Medical Device Industry (AiMeD) has inked a memorandum of understanding (MoU) with BUSAN TECHNOPARK from Republic of Korea to jointly work to promote medical devices industry in both the countries. 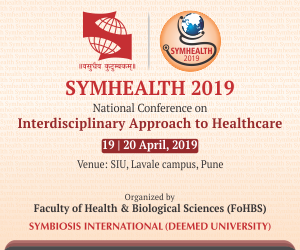 The agreement was signed by Rajiv Nath, Forum Coordinator, AiMeD and Soo-Hoo Shin, Chief of Healthcare Tecnique Division from BUSAN TECHNOPARK. The objective of the MoU signed between the two countries is to promote the development of business relation between India and Republic of Korea, promoting bilateral trade, investment in both countries and the development and exchange of technology. Additionally, to encourage and promote participation from both the countries at various business platforms created byIndian Medical Devices Industry Association and BUSAN TECHNOPARK. “We are honoured and delighted to join forces with BUSAN TECHNOPARK to help India & Korea become global hubs for medical device manufacturing.” Mr Rajiv Nath said. “We know the roadblocks that need to be addressed for both India & Korea and will focus on getting collaborations and joint ventures for both the countries &encourage information and economic exchange,” added Mr Nath. “We look forward to work with AiMeD to bring in investment to the medical devices sector in both the countries and make effort for mutual exchange and support for economic cooperation and market entry in the elderly and medical industry India is a huge market and we can aid with Korean technologies Indian manufacturers and the patients and the medical profession.” said Mr Shin of BUSAN TECHNOPARK. Through this cooperation AiMeD and Busan Technopark will provide assistance for visiting delegations, comprising of officials and businessman, on both side with a view to promote their business missions and facilitate business collaborations..AiMeD will also offer business-to-business match making with regard to promotion of technology and investment tie-ups to companies based in Republic of Korea. Similarly, Busan Technopark will assist AiMeD Members in their business endeavours. “The medical devices sector is being seen as the next big thing after IT and Defence sectors and India has the potential to emerge as a major manufacturer and exporter on the lines of pharma products. The government has undertaken several measures to promote its ambitious ‘Make in India’ mission in Medical Devices. The MoU between AiMeD and BUSAN TECHNOPARKis in line with realising these national objectives,” Mr Nath said.